JNN 15 April 2014 LONDON: British Prime Minister David Cameron appointed former banker Sajid Javid as the country’s new culture secretary, replacing Maria Miller who resigned earlier on Wednesday over an expenses scandal. Javid, considered a rising star in the Conservative Party, has served as financial secretary to the Treasury since last year. BBC News noted that he is the first Asian male conservative cabinet minister. In his new post, Javid will be responsible for policy on broadcasting, sport, media, tourism, telecoms and the arts. His appointment has been praised by Conservative MPs – George Freeman describing him as “a new model Conservative for our times whose done great work at Treasury”. Cameron also said on Twitter that lawmaker Nicky Morgan will step up to the financial secretary post at the Treasury — key to the government’s relationship with the financial services industry — from her current role as economic secretary. Javid’s father, Abdul, a bus driver, came to the UK from Pakistan in 1961, reportedly with just £1 in his pocket. He settled in Rochdale, where Sajid Javid was born in 1969, according to BBC News. 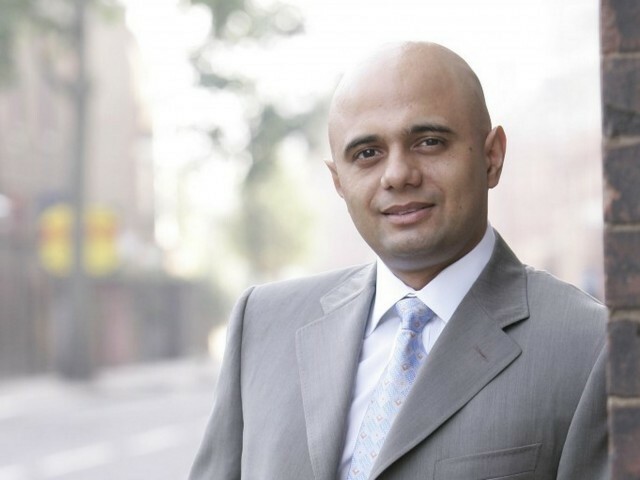 After graduating from university, Javid worked for Chase Manhattan Bank and Deutsche Bank before starting his career in politics. He was elected as a member of parliament in 2010. This entry was posted in Europe, Pakistan News and tagged Britain Culture Minister, British Prime Minister David Cameron, Bus Driver, Conservative Party, financial secretary to the Treasury, Javid, Maria Miller, Sajid Javed, Sajid Javid, Son. Bookmark the permalink.